The Emerge program is helping a new Santiago cybercafé and other promising small and growing businesses in Chile achieve their potential. Rosa Paulina Díaz, right, chats with customers in her cybercafé in Colina, Chile. Paulina’s business began as a small, home-based convenience store with a single computer that she rented to neighbors. When Paulina noticed a growing demand for Internet access and computer skills in her community, she sought support from Anglo American’s Emerge program, operated by TechnoServe and local universities, to take her business to the next level. 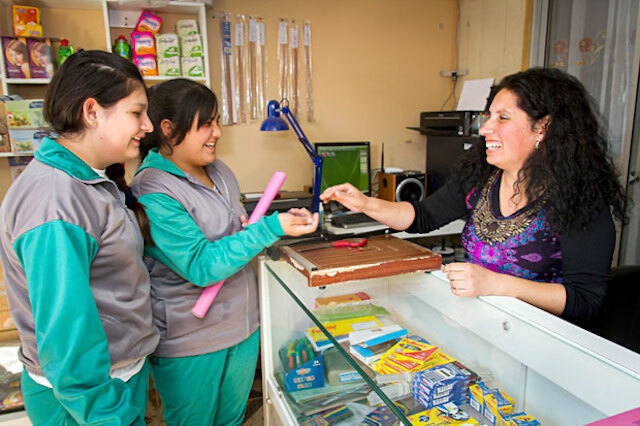 The program helped Paulina develop a business plan that included expanding into a commercial space next door and investing in three more computers. In addition to offering computer access and snacks and beverages, the cybercafé now provides services in graphic design, PowerPoint presentations and résumé creation. By November 2012, Paulina’s sales had increased by 142 percent compared to the previous year. Anglo American’s Emerge program has been supporting small and growing businesses with high growth potential since 2006, creating job opportunities and providing key products and services in communities where Anglo American operates. TechnoServe began implementing the program in 2011, providing one-on-one consulting to help entrepreneurs like Paulina develop business plans, build critical skills and access markets and sources of financing. Of 450 applicants, 160 entrepreneurs were selected to take part in the Emerge program this year. 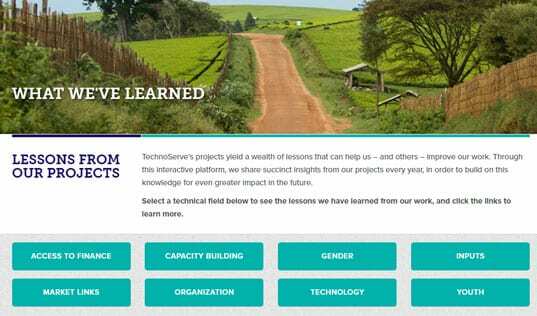 Read more about the Emerge program in our Annual Report – and see how TechnoServe’s work benefited 2.9 million people in 2012.